NOTE: Links to individual lessons are below. Unlike On Assignment, which was haphazard and chronological, the SLC will build out to be an organized resource. You’ll be able to find a solution set for yourself if, for example, you just own one light. The examples will be mostly speedlight-based, and grouped by the equipment it takes to make them. This way you can learn what you can do with your present gear, and/or make a more informed decision as to whether to add another light to your bag. Having a better understanding of ambient light will make you a better lighting photographer. Ideally, you want to get to a point where ambient and strobe are seen as virtually interchangeable. If you don’t own any lights, 0L is for you. Combined with a good grasp on ambient light (and how to balance it) even just one light gives you some cool options. But you have to work within some creative restrictions. Shooting with one light is usually compromise between what you’d like to do, and what you’re equipped to do. 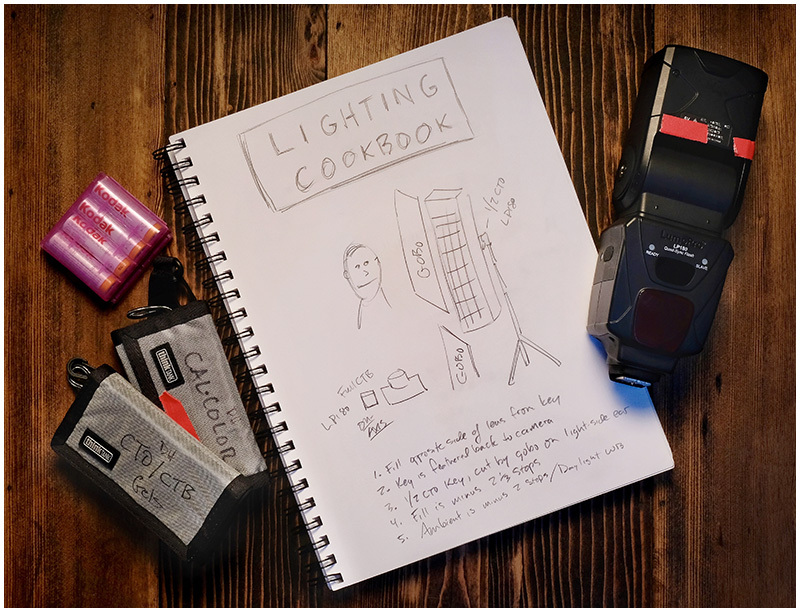 Strobist Lighting Cookbook posted on Strobist.com on December 8, 2018 7:36 am .